Afghanistan’s strategic location has for a long time been touted as a competitive advantage for the country. The National Unity Government (NUG) has emphasized that Afghanistan’s economy will be transformed and economic growth achieved if the country can utilize this advantage and turn itself into a regional hub for trade and transit. To materialize that ambition, however, Afghanistan needs extensive infrastructure development internally and connectivity externally. 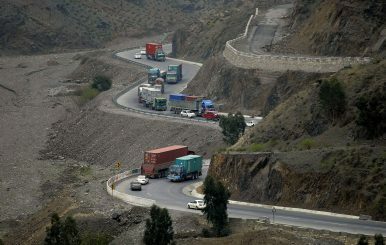 To that end, Afghanistan can tap into the potential of regional connectivity projects like China’s Belt and Road Initiative (BRI) and Russia, India, and Iran’s International North-South Transport Corridor (INSTC) that have come onto the scene in recent years. Nevertheless, the prospect of these initiatives in setting Afghanistan on the path to self-reliance remains unpromising, at least in the short run, as the country continues to face a multitude of interdependent challenges. This was confirmed by the findings of a recent study by the Organization for Policy Research and Development Studies (DROPS), a research think tank based in Kabul. A three day conference between the Taliban and a delegation of Afghan that was to be held in Doha, Qatar has been postponed after the Taliban objected to the presence of Afghan government officials. The Taliban has consistently refused to negotiate with the Afghan government and said the composition of the delegation to Doha indicates that it represents the Afghan government. “The government will have to change the composition of the delegation to make this meeting happen,” an anonymous Western diplomat told the news service. Taliban spokesman Zabihullah Mujahid told Reuters that the “presence of some participants was completely against the list of what was agreed upon,” and indicated that the inclusion of Afghan government officials was unacceptable. Just how similar was the war in Vietnam to the war in Afghanistan, and how similar are their endings likely to be? What will be the consequences of U.S. withdrawal for Afghans and Americans—and what lessons might the United States take from Vietnam to mitigate them? In an official statement on its website, Voice of Jihad, the Taliban signaled that the presence of government officials in the Afghan delegation was unacceptable, and that the size of the delegation was also unwieldy. Pakistan’s economic woes – dwindling foreign exchange reserves, low exports, high inflation, growing fiscal deficit, and current account deficit – are nothing new, and once again, the country finds itself knocking on the doors of the International Monetary Fund (IMF) for what will be its 22nd loan. While the exact amount of this package has not been determined, Pakistan already owes the IMF billions from previous programs. Indeed, 30.7 percent of Pakistan’s government expenditure is earmarked for debt servicing, which cannot be supported by its decreasing revenues. Already on the Financial Action Task Force’s (FATF) grey list, and with the current Pakistan Tehreek-e-Insaaf (PTI) government enjoying internal institutional consensus on the national agenda, Pakistan must focus its attention on resolving its economic woes before it finds itself on the shores of bankruptcy. Pakistan’s economic woes – dwindling foreign exchange reserves, low exports, high inflation, growing fiscal deficit, and current account deficit – are nothing new, and once again, the country finds itself knocking on the doors of the International Monetary Fund (IMF) for what will be its 22nd loan. While the exact amount of this package has not been determined, Pakistan already owes the IMF billions from previous programs. Indeed, 30.7% of Pakistan’s government expenditure is earmarked for debt servicing, which cannot be supported by its decreasing revenues. 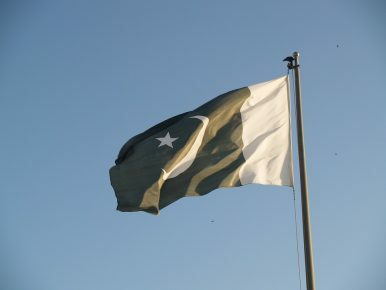 Already on the Financial Action Task Force’s (FATF) grey list, and with the current Pakistan Tehreek-e-Insaaf (PTI) government enjoying internal institutional consensus on the national agenda, Pakistan must focus its attention on resolving its economic woes before it finds itself on the shores of bankruptcy. The two-day intra-Afghan dialogue slated to commence in Doha, Qatar, on April 19 communicates a message of both hope and despair as the leaders of the warring Taliban are going to sit face-to-face with their compatriots for the second time in less than two months to deliberate on how to put an end to the 18 years of fighting in Afghanistan. The Taliban’s willingness for a formal sit-down with Afghan political leadership — first in Moscow and now in Doha — reveals the group’s interest in a negotiated settlement, which, no doubt, could be termed a positive sign. 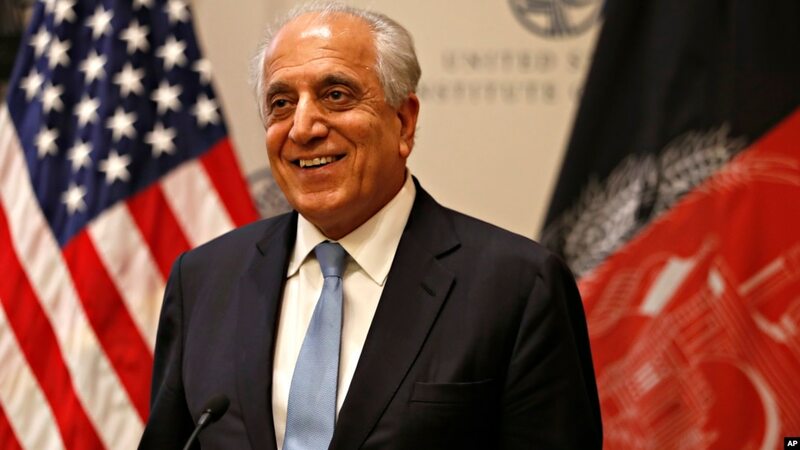 But their refusal to meet President Ashraf Ghani’s representatives specifically is likely to affect the progress achieved by U.S. envoy Zalmay Khalilzad’s shuttle diplomacy over the past several months. Currently struggling hard to win a second term in office, Ghani feels cornered and often reacts angrily whenever his political rivals voice support for an interim government ahead of the presidential election now proposed to be held on September 28 this year. Ghani’s term in office is coming to an end next month, but the Afghan constitution lets him continue in office until the election of new president. The last time I walked by the presidential palace in Kabul and headed back to my NATO base, in 2011, I wondered whether I had made any difference during my year as a NATO advisor to the Afghanistan Ministry of Defense. I was one of about 20 Canadian and American senior military advisors working in partnership with Afghan generals and their staff. 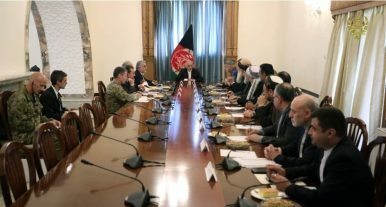 We advised the Ministries of Defense and Interior on the manning, training, and equipping of the Afghan National Army and Afghan National Police. Amongst ourselves, we advisers wondered what was in fact the right path to bring security to Afghanistan. I was in Afghanistan during a time when the United States had 100,000 military personnel deployed in the country. These troops led much of the fighting, but they worked side-by-side with the National Army and Police while these grew in capacity and capability. Today, the United States has less than 15,000 personnel deployed in Afghanistan. While I am neither a diplomat nor an economist, I am a retired military officer who cares deeply about our men and women in uniform. I also care deeply about peace and stability in Central Asia, because the region is critical to America’s broader strategic interests. KARACHI, Pakistan — On International Women’s Day in Pakistan last month, thousands of exuberant young feminists staged their second Aurat (women’s) March. Intended to build on the success of a well-received march last year, it was designed to be inclusive, peaceful and raucously joyful. It had women from all walks of life, some in Western clothes, others in full veils, head scarves and burqas. Women from cities and villages. Female health workers and teachers. Trans women and male allies. Then came an ugly backlash that still simmers — a sign that the feminists’ goal of breaking the hold of patriarchy is still a long way away. Recalling the joys of the 2018 march, the activists and volunteers had gone to low-income neighborhoods and rallied women there. They bused women from rural villages. They printed fliers with artwork by young female artists, and drew posters that expressed their frustration, anger, hope and courage. On March 9, perhaps 6,000 women marched peacefully in Karachi, and another 3,000 in Lahore. Smaller groups walked in smaller locales: Peshawar, Quetta, Hyderabad, Faisalabad and Chitral. The marchers made headlines all across Pakistan. The Afghan National Unit Government has been trying to get Chinese help in jumpstarting moribund peace talks with the Afghan Taliban. Kabul hopes to entice China to use its leverage on Pakistan, which hosts the Afghan Taliban leadership. However, this is not the first time that an Afghan government turned to China for help in a desperate situation. There have been at least three other attempts in the past three decades; all of them in vain. As discussed in Part 1, the earlier lack of particular Chinese interests in the region (compared to the driving force of the Belt and Road Initiative today) made Beijing largely unresponsive to Afghan outreach. This time, as Chinese interests are expanding in the region, Beijing is now more ready to play a role in the Afghan peace process. 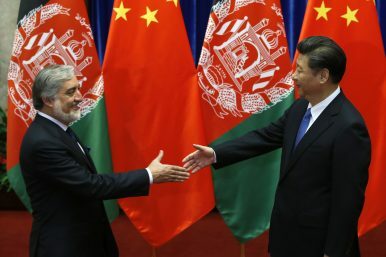 Since the establishment of National Unity Government (NUG) in Afghanistan in 2014, both Afghan President Ashraf Ghani and Afghan Chief Executive Officer (CEO) Abdullah Abdullah have tried to use the “China Card” not only to influence Pakistan to bring the Afghan Taliban to the negotiation table but also to get Beijing’s assistance on issues of security, economic, and regional integration. Abdullah’s requests in this regard are more particularly focused on asking China to persuade Pakistan to assist the Afghan peace process, while Ghani’s requests are broader, including economic interdependence, regional connectivity, and Chinese engagement in the peace process. This brief presents a summary of key historical events in Afghanistan since 1989 and outlines a possible worst-case scenario following a U.S. and allied withdrawal from the country. The United States, Afghanistan, and its allies must work together in search for greater Afghan self-reliance, security, and stability in order to avoid a catastrophic scenario. Only then will Afghanistan be able to free itself of foreign presences and embark on its own journey to prosperity and self-reliance. A complete and sudden U.S. withdrawal from Afghanistan would be a recipe for disaster. Pulling the plug on U.S. troops, civilian presence, foreign aid, and security assistance could lead other NATO countries to do the same, encourage the Taliban to abandon peace talks, and ultimately lead to civil war. The Afghan forces could disintegrate, leading thousands of soldiers trained and equipped by the United States to side with the Taliban, the Islamic State, al-Qaeda or others. Drug production would exponentially increase, and terror organizations would gain significant ground. Civilians would be stripped of their social and political freedoms and flee the violence, adding to the millions of Afghan refugees and other migrants dispersed around the world. Violence has gotten worse in recent weeks as the weather has warmed across Afghanistan, with each side killing dozens of the other’s forcesevery day. 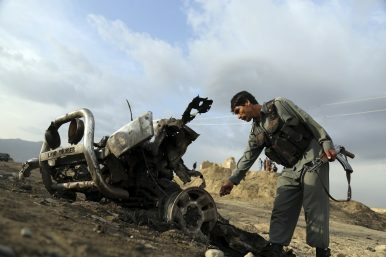 Last month, the government pre-empted the Taliban by announcing its own spring military offensive, amid Afghan leaders’ frustration over having been left out of the talks aimed at setting terms for an American troop withdrawal. The Taliban says it has temporarily stopped the International Committee of the Red Cross (ICRC) and the World Health Organization (WHO) from carrying out relief work in the areas it controls in Afghanistan and it has revoked security guarantees for their staff. 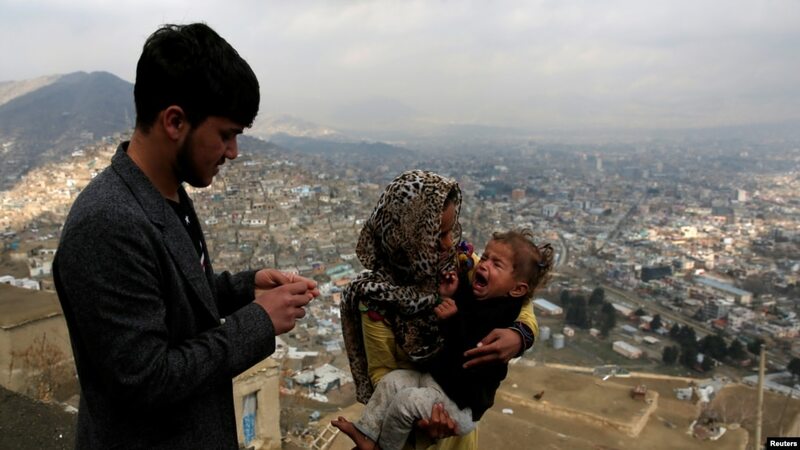 The Islamist insurgent group alleged in a statement that it has found WHO staff involved in “some suspicious activities” during vaccination campaigns, and that the ICRC failed to practically implement pledges given to the Taliban. The statement did not elaborate. “Until further orders, operations of the two organizations have been halted in areas controlled by the Islamic Emirate (the Taliban), and Mujahideen will not be a responsible for the protection for the heads of these organizations,” the Taliban said.